Engaging Native youth by creating opportunities for personal and civic leadership development as young tribal leaders of today. To contact the youth or organization for interview, updates, and current initiatives email your inquiries to morningstarleaders@gmail.com. 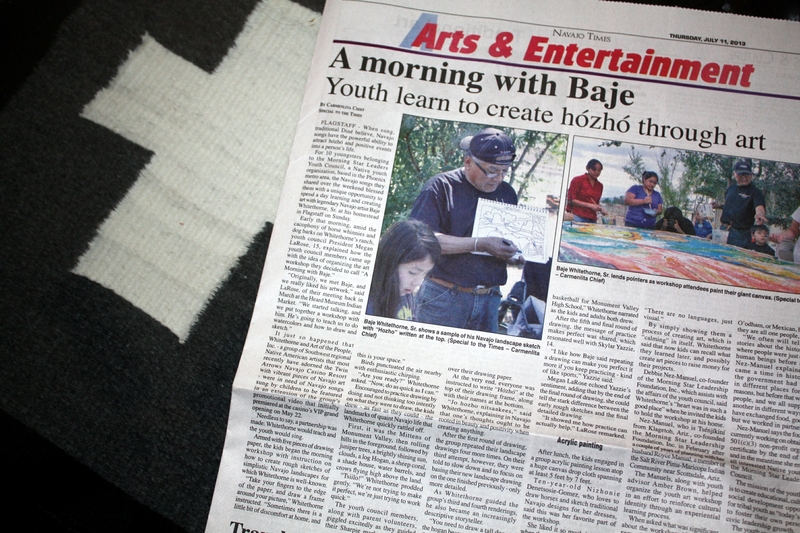 The Morning Star Leadership Foundation (MSLF) Inc. is a charitable, non-profit corporation devoted to urban tribal youth in the Phoenix metropolitan area. Formed on February 28, 2013, under the laws of the State of Arizona to advocate, promote, and coordinate youth related initiatives, the Foundation serves inter-tribal youth from all areas of the greater Phoenix metropolitan valley. In addition, the MSLF works to provide leadership opportunities to improve the lives of urban tribal youth by promoting culturally based teachings through higher education, health and wellness, community building and volunteerism. We also promote networking through relationship building, social activities, personal development training, artistic pursuits, and cultural performances. Our hope is to enhance the lives of tribal youth in under served communities by providing them with tools they need for lifetime success. We welcome all people, youth, and supporters to join our organization and become a fellow Morning Star Leader. As youth, we see the world through a different lens. As Native youth, we see the world through cultural context. As Morning Star Leaders, we see the world as a place of opportunity, for development, for giving back to our communities and to maintain our cultural roots.